This basket includes plush toy, chew/tug toy, and squeaker toy. 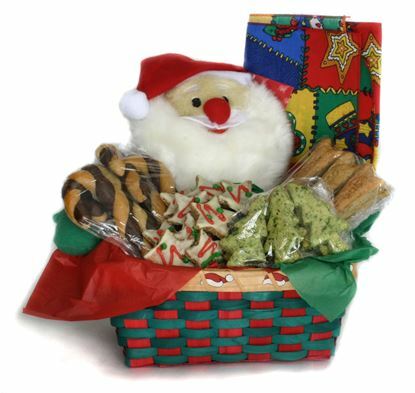 1 pound of assorted treats: apple oatmeal bagels and festive stars, small chicken bones and petite peanut butter hearts. 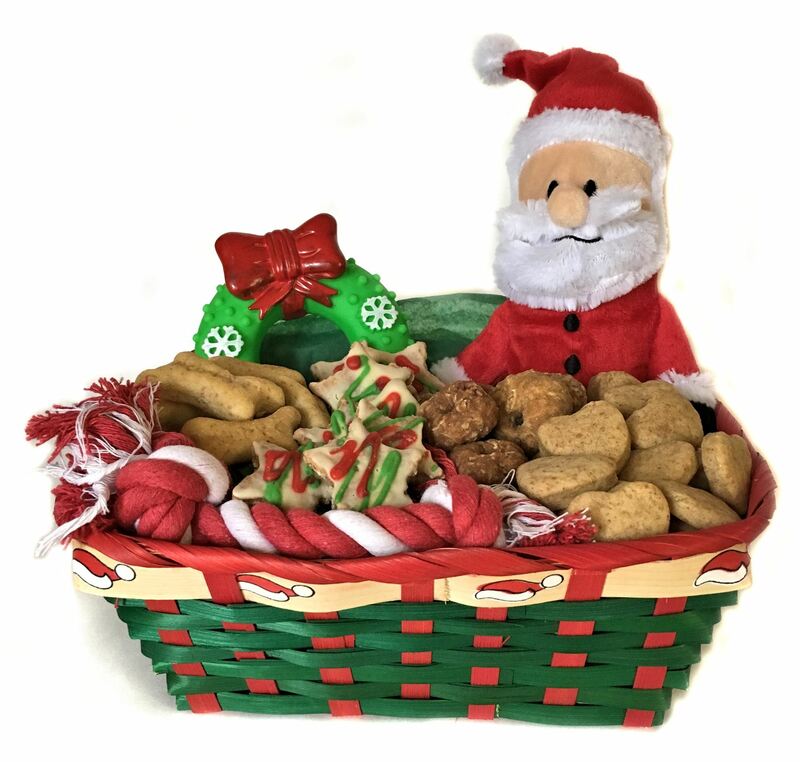 This basket includes a plush toy, chew/tug toy, a squeaker toy, and a pound of our hand made assorted treats: Apple Oatmeal Bagels and festive stars, Small Chicken Bones, and Petite Peanut Butter Hearts. Available for small or miniature dogs. 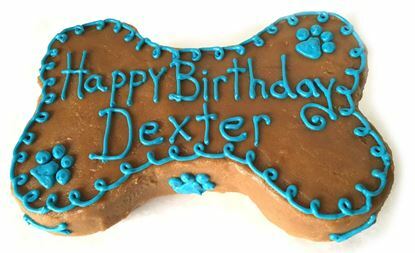 Moist, delicious 9 inch bone- shaped banana cake with carob chips topped with a peanut butter frosting. A combination of lip-smacking ingredients your dog(s) will love! 2 pounds. The perfect Christmas gift for that special dog. An assortment of holiday dog treats along with a play toy and a Christmas Bandana in a festive Basket. 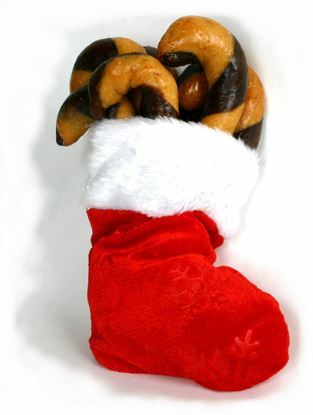 1/2# Peanut butter and carob biscuits twisted together and shaped into festive canes tucked into a Christmas Stocking.